Posted on November 7, 2018 by Betsy Jacoby-Greenleaf. Many of us operate within the realm of organized chaos and manage to get by without much trouble. But I want to suggest to you something that will help you escape the state of chaos (no matter how organized it may seem). It is possible to manage our relational affairs without navigating through the disorder; we don’t have to separate the order from the disorder because the disorder is no longer a factor. 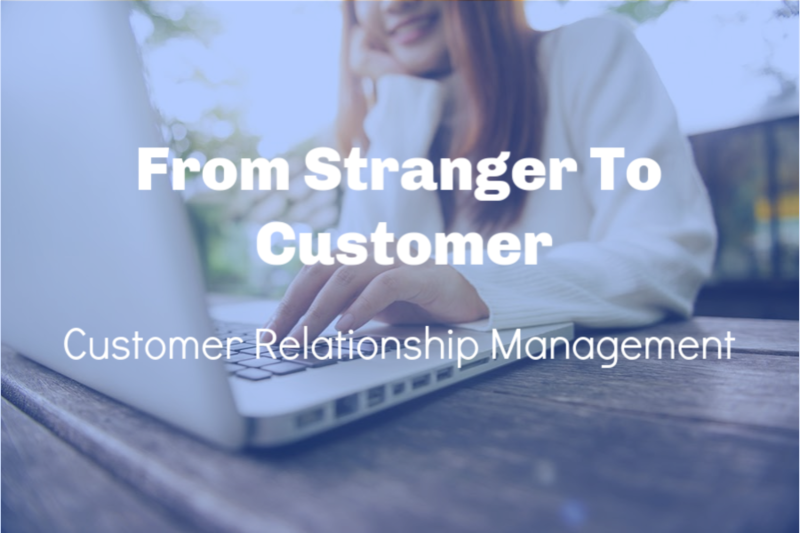 In this post, the second in my three-part series called From Stranger to Customer, I’m going to walk you through one of the best tools to rise above the organized chaos to reach new heights of organization and communication by utilizing a program known as CRM. CRM is an acronym for Customer Relationship Management and it’s a software platform that helps you keep track of and organize all the data that is associated with your customers and puts it all into one program (in our case customers are equivalent to attendees). Relationships with people can get complicated and messy, but not with a CRM software program. Not only does it help you keep track of who’s who, but it’s also a great tool for lead generation. OK, that sounds nice…but here is where it starts to become an aha moment. It automates your marketing strategy. All those leads you have been collecting can go directly into the database and if any of those people register with your trade show, you can start tracking their activity and send them targeted e-mails. For example, if you have an attendee that registers for a fitness show, your CRM can e-mail her news about upcoming events related to your show like discount offers for attendees, or a last minute influencer visit. With CRM you can also segment or divide your customer base into groups and modify your marketing strategy depending on what group the attendee falls into. This helps you send more applicable and personalized messages and offers. The best part? All of your marketing campaigns can be done simultaneously. Segmenting ensures that you stay away from marketing fails like sending a message with an offer of low-cost tickets to garner more sales right before the show to an attendee who has already purchased their ticket at full cost. Ouch. The relationships we have with our exhibitors are just as important as the ones we have with our attendees, but let’s face it, we can’t remember every single one of them. But CRM can (you saw that one coming). It allows you to communicate with your attendees and sponsors all in one place and it helps your marketing staff keep track of it as well. When everyone is on the same page life is just better, isn’t it? Confusion wastes so much time with questions and figuring out which activities have been done and which activities haven’t. But, with CRM your staff can track sales, communicate with exhibitors and sponsors, and provide them with access to new leads. Work doesn’t get replicated and everyone is happy. Keeping track of incentive or points programs. Visibility for other sales opportunities, such as exhibit space or sponsorships. CRM gives you the full picture of all of your business relationships and the interactions you have with them. It allows you to focus on all the important aspects of your trade show business from collaboration efforts to analytical data. The end result is a less chaotic and more sustainable environment that can pull you out of disorder to pure unadulterated order. Oh, the bliss. Business, Expo Planning, Show Management, Trade Show permalink.